Increasing accessibility through long-term creative projects. Our Community Opera is well underway. 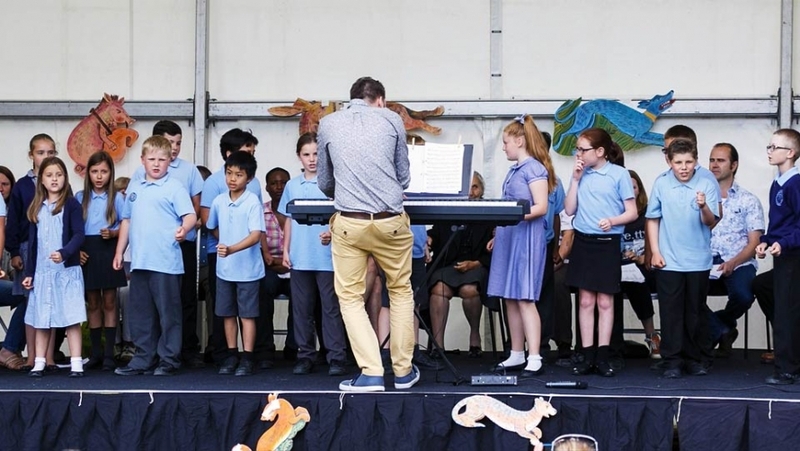 We’re really excited to be working with an inspirational creative team, primary and secondary schools in Cheltenham West, and newly-established community choir Local Vocals. For regular updates and blogs from the creative team, head to our Community Opera page. A Way with Words was the second phase of Cheltenham Festivals’ three-year community project in Cheltenham West. It was a cross-arts, multi-generational project with a focus on gathering and sharing local people’s stories, reminiscences and opinions. The material gathered was then re-interpreted and shared in a public performance as part of Cheltenham Literature Festival 2016, using different performance media. For more information click here. This was a site-specific song-writing project that took place in 2015 and culminated in performances in Hesters Way and at the Music Festival. Find out how it went and what the participants thought, and have a look at the songbook, here.